Hannah Grace closed 2018 with the release of the collaborative Christmas EP December alongside Gabrielle Aplin. The lead single and title track featured on 14 ‘New Music Friday’ Spotify playlists and was spotlighted in the UK and US Top 10, as well as being played on Radio 2. The EP also featured three beautiful covers of classic Christmas tracks. In 2017 Hannah sparked the imagination of Lady Gaga after posting a cover of her hit ‘Million Reasons’, which provoked Gaga to tweet the video and call Hannah a “superstar”. Meanwhile in the same year her cover of ‘Praise You’ soundtracked the Lloyds Bank TV advert and clocked up over 3 million streams. 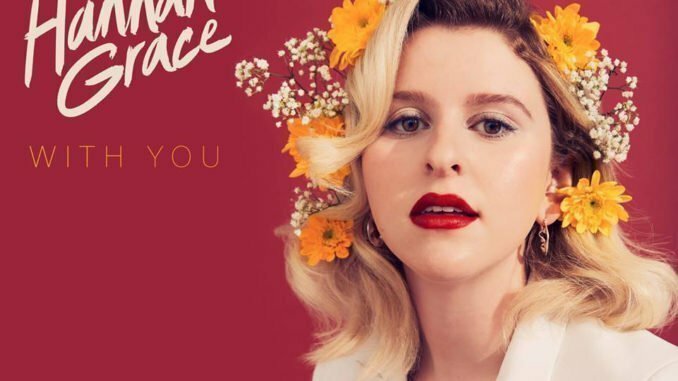 Hannah Grace kicks off 2019 with the latest taste of brand new music in the shape of ‘With You’. Her show-stopping performance sets the precedent for the year ahead when she is set to turn even more heads.